Torque Wrench has numerous applications especially in the physical sciences and engineering, vehicle safety testing, mining equipment, aircraft engine design, etc. Torque Wrench is offered by us in several popular brands such as Britool, Norbar, Tonichi and Gedore. Our Torque Wrench is considered the best in terms of design structure and high torque capacity. 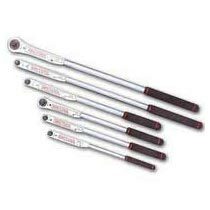 We provide Torque Wrench in bulk quantities that are sourced from the reliable brands in the industry. Not just this, we offer Torque Wrench at competitive rates as well. Aircraft engine design : under torque or under tightening leads to high wear and tear of the hardware and parts that are held with it. Over tightening can cause more stress on the bolt or nut. Thus, best is to avoid this is to use a Torque Wrench. Tire testing : as torque sensors are utilized in tire development by monitoring torque and determining friction of tread design. Vehicle safety testing : wheel torque sensors are designed for use in automotive safety development. Mining equipment : equipment design requires a very high torque capacity.